These are some of our more popular Onsite Technical Support offerings, our services are not limited to this list. Feel free to contact us if you have any questions. Talking about computer machinery, it requires maintenance and support just like any other technical machine. Our onsite technical support services are for this specific purpose, whereby our expert staff comes in to fix your computer at your home or office. Standard office hours for online tech support are from 9 am to 5 pm, however, depending on your office's needs, 24/7 support is also an option. Our mission statement is as simple as being there when you require us to be and get the job done. We can’t emphasize enough on how important technical support is. A prime example is that it begins before you even purchase your computers. It is essentially the job of your computer consultant to advise you on what specifications and technology to buy that will fit the bill of your company profile and get the job done as smoothly as possible. Our on-site technical support team recommends products from which you can choose according to your budget. Once this procedure is handled, leave it to our expert technicians to help you set it up properly. We take great care in ensuring that no extra office space is used up in setting up your systems and that they run properly, with all connections fixed and secured. Our on-site technical support caters to the needs of all kinds of customers in all kinds of troubles. Our wide array of problem-solving skills deals with slow access to computer sites, down networks and many other common problems faced by the daily user. Our prime focus is for you to stay intent on your work while we carry out our procedures to make the process even more seamless for you. Our on-site technical support covers everything involved in your network. Be it hardware, the likes of which are servers and independent workstations, or software. The size of your network is not a problem, be it big or small, Advanced Computer Consulting can handle it all. 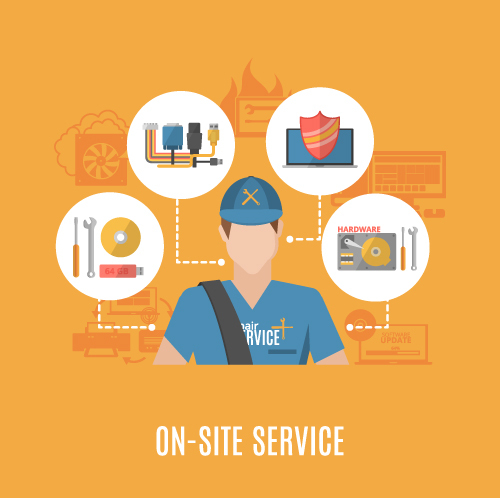 Preventative maintenance is another feature that Advanced Computer Consulting excels at. This involves ensuring that no unauthorized systems of personnel enter your system or network. We do this simply by making sure your firewall is working and that your protective software, such as the antiviruses are up to date and functioning. With our periodic IT support visits, our focus stays on also verifying the level of your internet security, as to how much of your data is exposed to the worldwide web. Our staff technicians are completely qualified and experts at their job. With years of experience backing them, they are sure to get the job done steadily and perfectly.